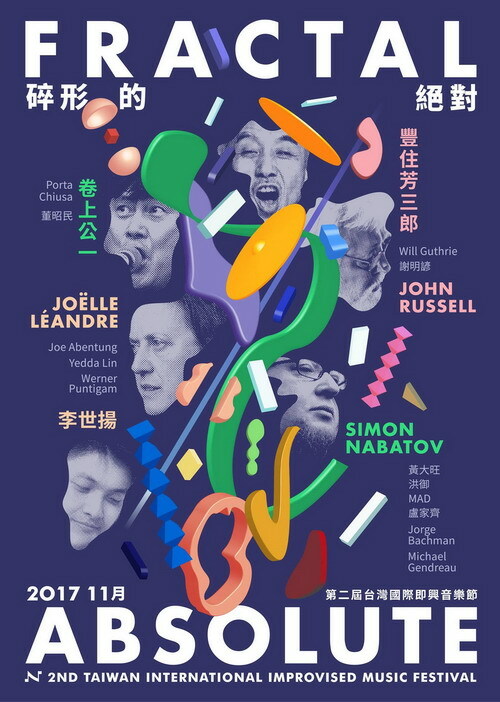 Taiwan International Improvised Music Festival was founded in 2015. This year in 2017 musicians from France, America, Japan and many other countries were invited. Joelle Leandre is a super idol in many different kinds of music. Simon Nabatov is a virtuoso of jazz. Sabu Toyozumi is a legendary drummer of the first generation of free improvisation of Japan. Koichi Makigami leads Hikashu, a Japanese rock band. He is a pseudo-Kabuki vocalist, known for their highly experimental music.